When it comes to bedroom design, we decorate it based on how we want the room to make us feel. There is nothing that sets the mood of a room more than the paint on the walls. Bedroom space means many things to different people. Some need it to be an exciting room full of variance, while others want a relaxing comfortable space. 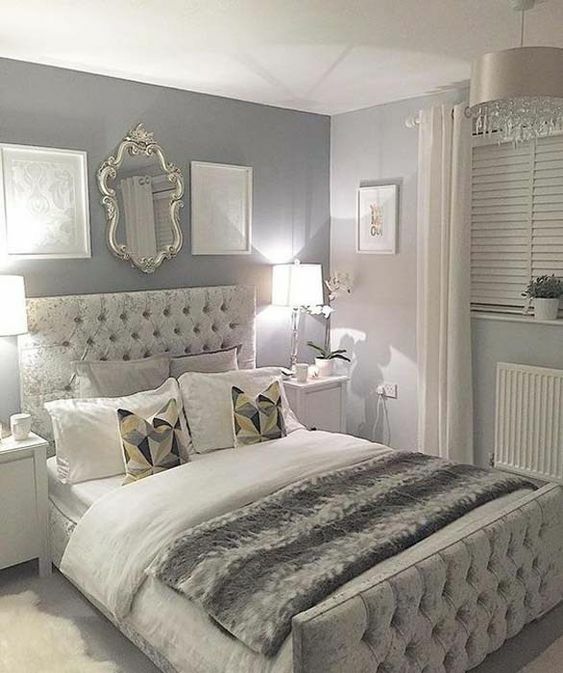 Here are 10 reasons you must paint your bedroom grey. Gray is the new “in” color that’s edgy and contemporary yet classic and timeless. It is that pretty little black dress you shy away from wearing in public. 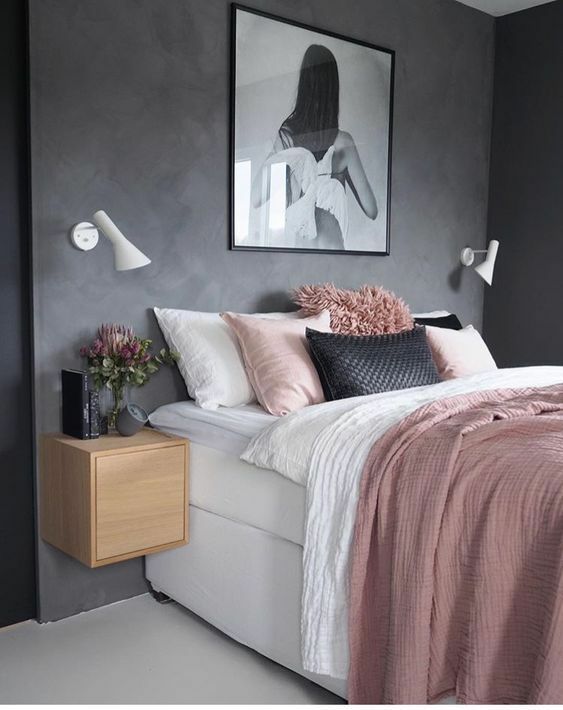 A grey bedroom may be exactly what you need. Being a neutral color, gray is naturally calming. Its warmth can be compared to being wrapped in a fuzzy blanket that gently lulls you to sleep. This is actually what you would love to happen after a long day at work. Gray is the perfect backdrop to any style you would love to achieve. 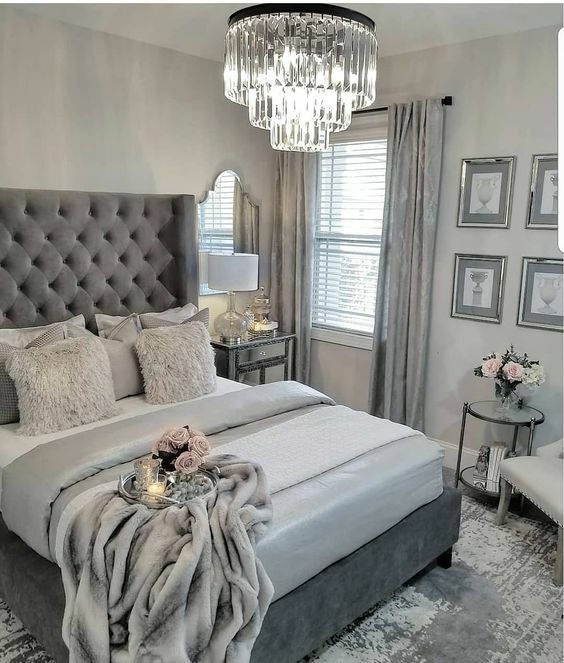 You will have an easy time making your bedroom look good because gray goes well with almost all types of furniture and colors. Best colors for a West and a Northwest area bedroom according Feng Shui are white and grey. Why? 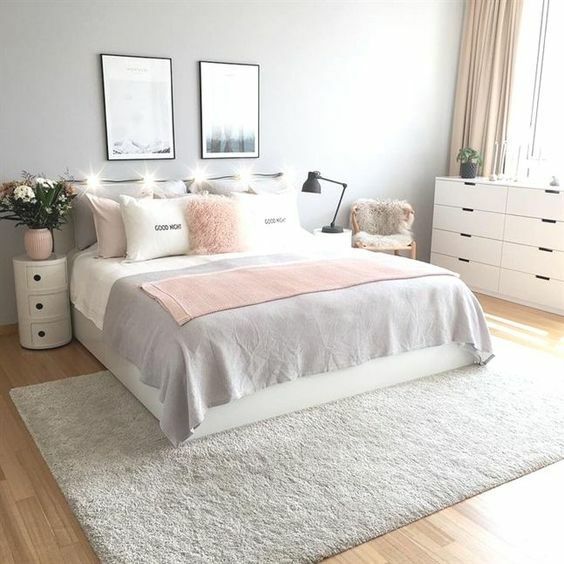 Simply because the governing feng shui element of this area is Metal, and white and grey are the colors that express this element. 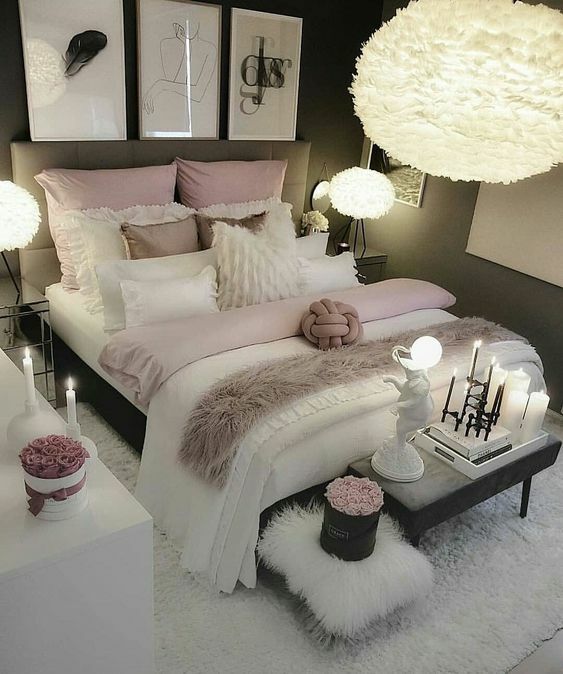 Lighter, and softer shades of gray help you to achieve a more feminine feel in your bedroom. It can also help you achieve this look in her closet, especially if you have a large one. 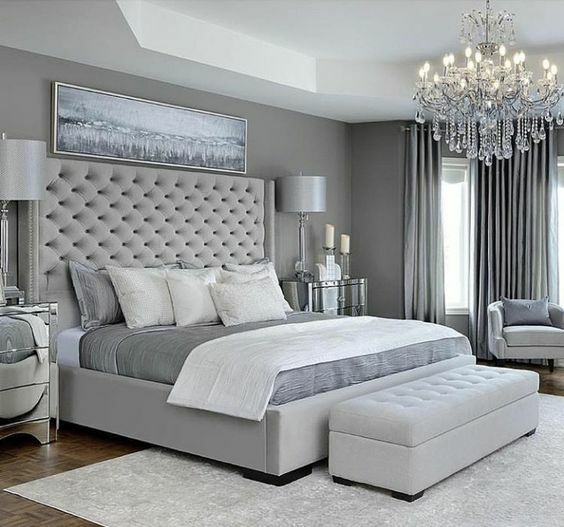 The darker shades of gray help create a more masculine effect in the bedroom and in his closet. 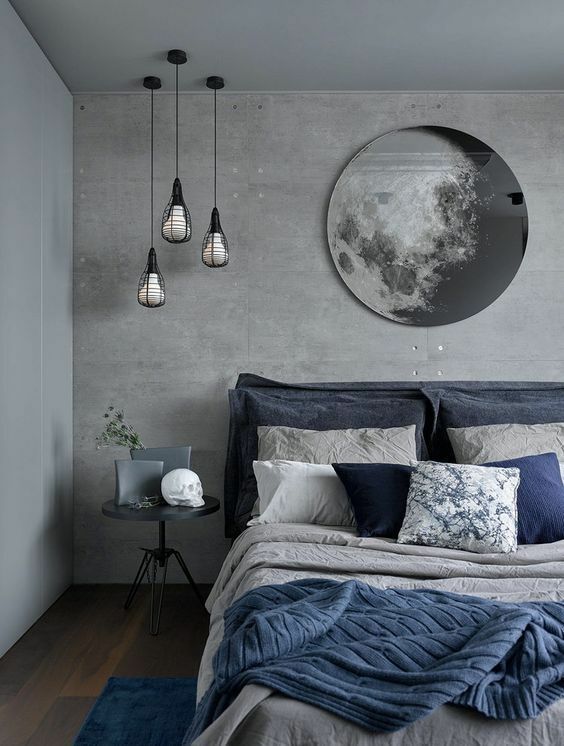 Grey walls especially the darker ones flatter the rest of the room’s décor by adding some contrast. This is desirable when you would love to focus on the wall décor and not the wall. 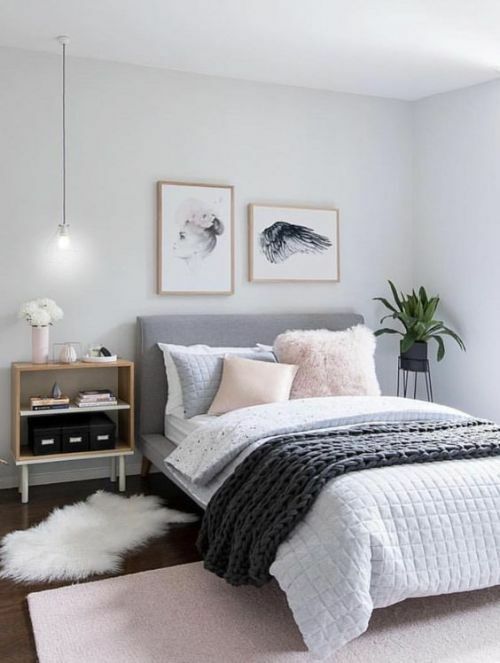 Forget the white wall in the rest of your home, a gray bedroom will effectively break the monotony while maintaining the modern vibe. Gray has numerous wonderful natural undertones that come to life with the right lighting. 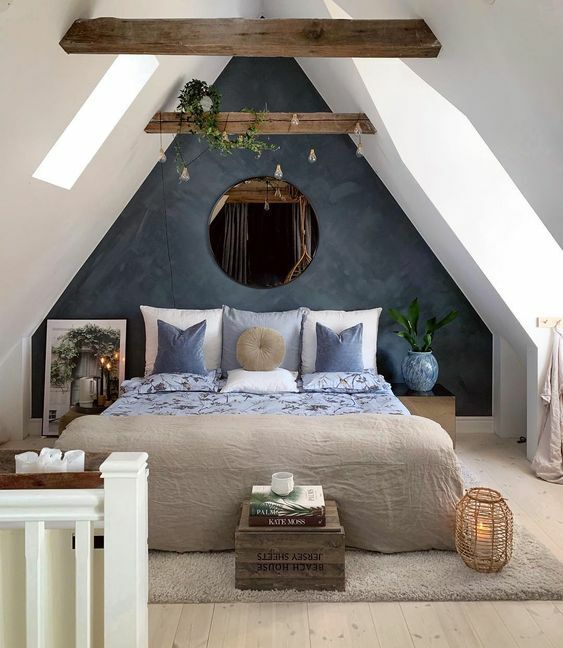 As such you can take advantage of the natural and artificial light resources to play up with the look of your bedroom. With hues from nearly black to nearly white, gray is more than gray. It can help you achieve the desired look and feel no matter your location, lifestyle, or personality.